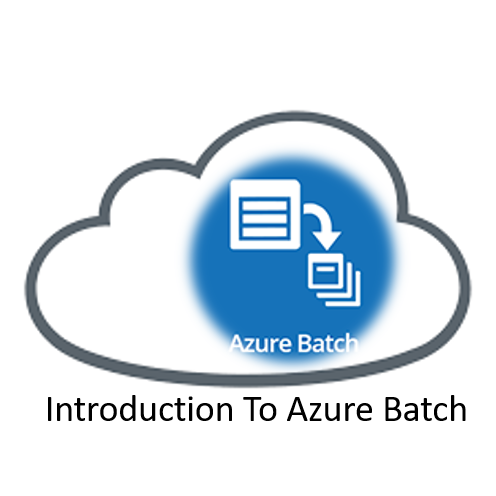 In this post, we talk about Azure Batch Service. This service was created to execute parallels batch workloads without having the stress of the resources that they need to run these jobs. And that happens because Azure Batch is responsible to create and manage pools of compute nodes. Imagine a lot of parallel batch workloads separated each from another. In a quick thought we can say that is similar to another Azure service VMSS (Virtual Machine Scale Sets). APIs and tools. These can be used to Create and manage a pool of compute nodes, and then we can schedule to run different jobs and tasks. 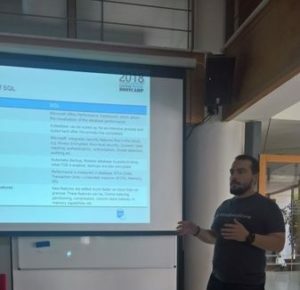 For Azure Batch service we need to pay for the used resources (compute & storage). In the table below we can see some of the Azure Batch use cases with an example to understand where Batch service used in every case. At the image below we can see a sample of Azure Batch architecture. A Pool execute a job and the Nodes(VMs) of the Pool executes one or more tasks/jobs. Service Quota is quite important for the Azure Batch workloads because it is very likely in a rough design might be reached this limit. The Pool Size is the number of the nodes, as a single node consider a virtual machine. The next table shows the limits for the pool size. We can choose high-priority nodes, which are dedicated VMs and low-priority nodes, of course there some limitations which can found in this section of the post. All the other limits are relevant with the Azure Batch Workloads details. If the workloads need to increase the quota on an Azure Batch Account, then we can follow the directions at this link. When we create an Azure Batch Pool, it is very important to select the correct VM size for the nodes of the Pool. At the tables below we can see what are the sizes that the Azure Batch Pool DOES NOT support. 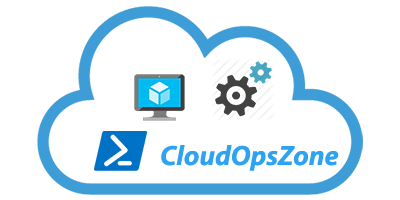 In the following steps, we will see a quick demo of the Azure Batch Service. From the Azure Portal left main blade, select + Create a resource, type [Batch Service], and select to Create the Batch Service. 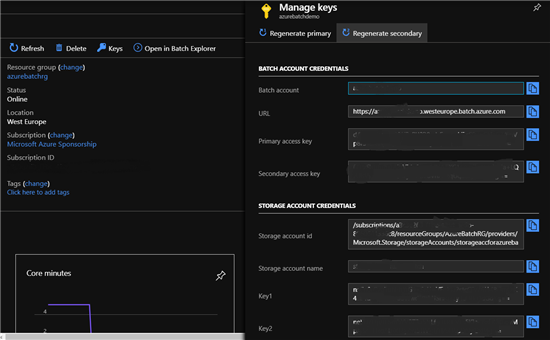 storage account and link it with the Azure Batch account. In the Advanced tab, we must choose a Pool allocation mode. The choices are two Batch service and User subscription, for the demo purposes we select Batch service. Batch service The pool VMs are created using behind-the-scenes Batch service subscriptions. User subscription The pool VMs are created directly in the same subscription as the Batch account. blog post about Azure Batch capabilities for more details. Create to start the Azure Batch Account deployment. After the Azure Batch account is created we are ready to see how this works. And that is the juicy part of this post. For the part of the demo we will use an existing project from GitHub, which is coded from the user dlepow. .Net Core SDK, and then Build the Project (Build – Build Solution). After the Build is complete successfully, the Dependencies looks fine. If after the build we get the following error, then we should close and open the VS.
After we successfully complete the Build of the solution then we must make some changes to the code. // Update the Batch and Storage account credential strings below with the values unique to your accounts. // These are used when constructing connection strings for the Batch and Storage client objects. The Batch and Storage Account Credentials are in the Batch Account dashboard in Azure Portal (see the image below). We complete all the necessary steps with download, installations, configurations etc. And the next thing to do is just Running the Application. The Console App creates two Storage Containers (Input, Output). The App creates 5 low-priority nodes inside the Batch Pool and the 5 Tasks that will run parallel in every node. At the two next images we can see exactly the Pool with the nodes in the Azure Portal. For the final step we don’t have something to do, all the 5 files are processed and created in the Output folder. In this post, we made a quick intro to Azure Batch a service that is basically addressed to developers but also can be useful and a very important tool for other groups like IT or in our days much better DevOps.